Come and join us in the September/October 2018 semester and experience a semester abroad! The Infrastructure University recognises the importance in enhancing student experience further by creating a platform for students to embark in a unique journey through our Student Mobility Programme. 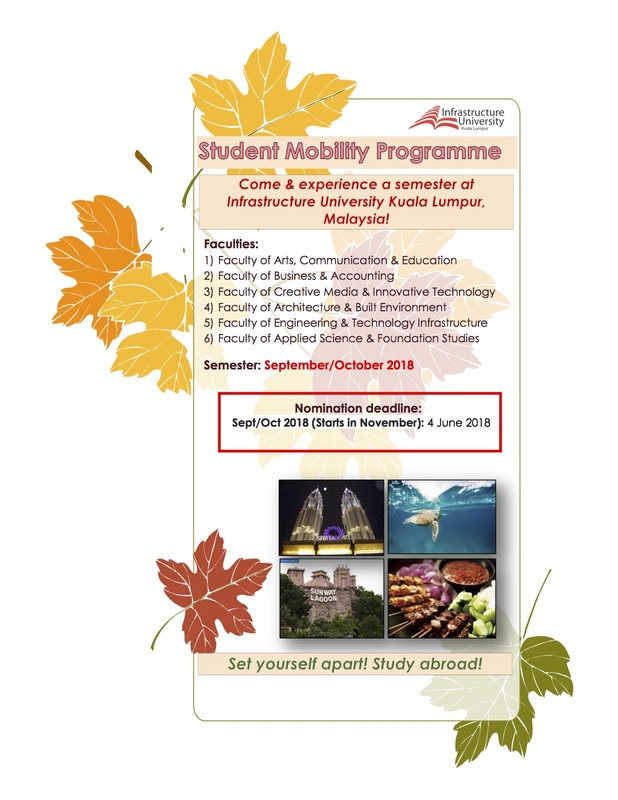 We encourage our students and also welcome students from our partner universities to participate in this programme to experience different cultures; traditions, art, food (You name it! ), learning environment as well as making new friends across the globe. 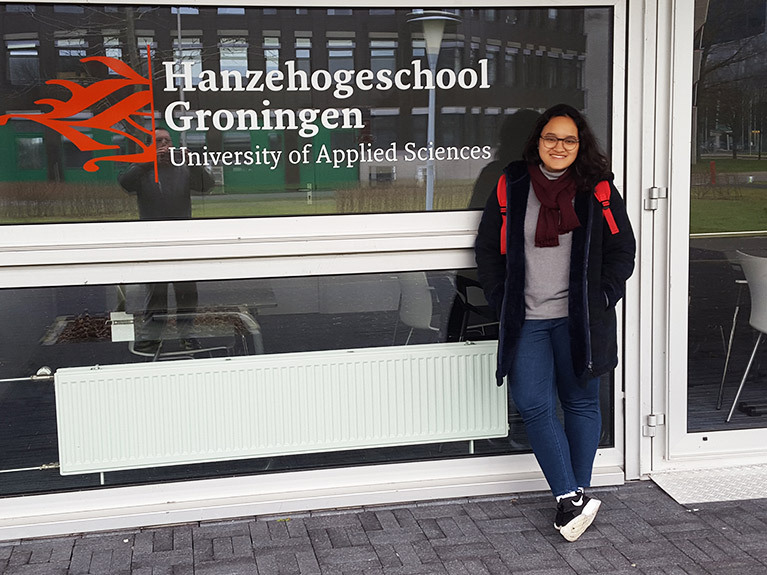 An interview was conducted with Ms. Sabine Tijdeman, an exchange student from Hanze University of Applied Sciences, Groningen, Netherlands who joined the Infrastructure University Kuala Lumpur (IUKL)’s Student Mobility Programme. She was a student at the Faculty of Business and Accounting (FBA). 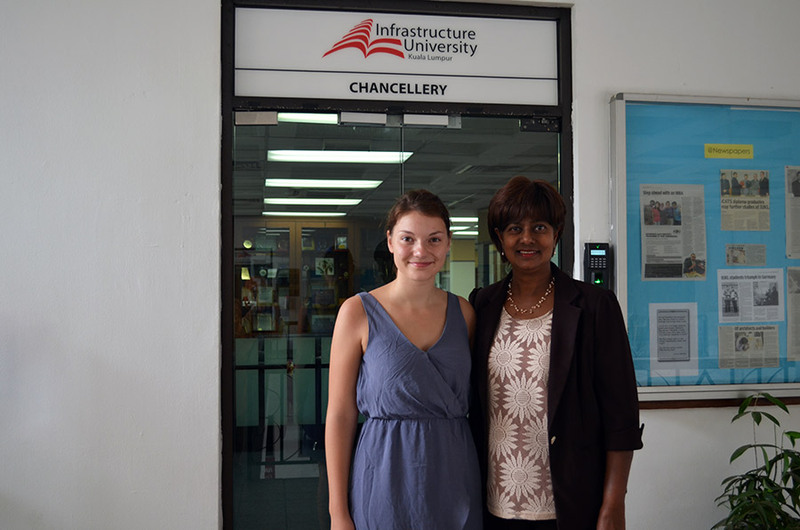 Before leaving the University, Ms. Sabine shared her experiences at IUKL and Malaysia in general. Interviewer: How was your time here at IUKL? Sabine: I have made many friends from different countries. I did face difficulties in communicating with others as each of us comes from a different culture. Malaysians tend to be indirect when they wish to deliver a message but in our culture, it is the opposite so sometimes there will be miscommunication between us. Interviewer: Why did you choose IUKL to do the student mobility programme? Sabine: When I was browsing the net to find an institution to do this programme, I chose Malaysia because of the peaceful atmosphere and I felt that I can gain cultural opportunities as well. Interviewer: What was your favourite class to attend? Do you have a favourite lecturer? Sabine: I enjoyed the International Relations class as I had the opportunity to learn more about the world. It was a very interesting class taught by Assoc. Prof. Dr. Faridah, who is also my favourite lecturer. Interviewer: Could you share more with us about your journey? 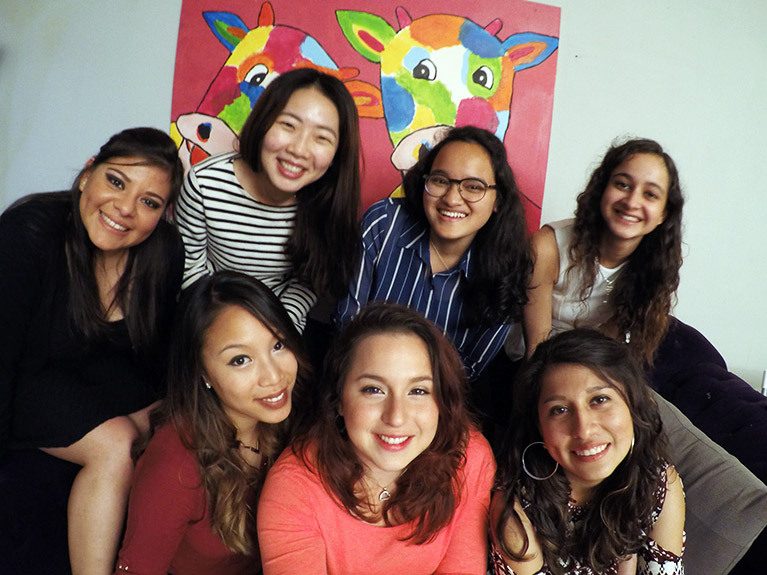 Sabine: When I started the student mobility programme at IUKL, I had a bit of a culture shock. Some lecturers have a strong Malay accent when they speak in English which makes it difficult for me to understand the lecture at times but I managed to adapt after a month. Interviewer: What is the most important thing for you to represent your country when you are abroad? Sabine: If you plan to go abroad, we have to keep an open mind so we will be ready to accept new things and be more optimistic towards new ideas. When we are open minded, we will have a better understanding of life because we will view it as a journey and learning experience. Interviewer: Is your country facing any crisis at the moment? Sabine: Yes, we are actually facing economic crisis. Many people are laid off in Netherlands. Here, Malaysians go out for dinner and shop almost every day. In Netherlands, all shops are closed at 6pm. Food and clothing are more expensive there. When we do go out for dinner, it will usually be for a special occasion. Interviewer: How has your stay in Malaysia been so far? Sabine: It has been a great time. I learned a lot about the various cultures in Malaysia. This country is rich with culture and I really respect that. You don’t see this in many other countries. Interviewer: What do you plan to do when you return to your homeland? Interviewer: What will be the one memory in IUKL that you will never forget? Sabine: It’s hard for me to pinpoint one as I have so many memories here but I will never forget the farewell party that Dr. Faridah organized for me for the International Relations class. 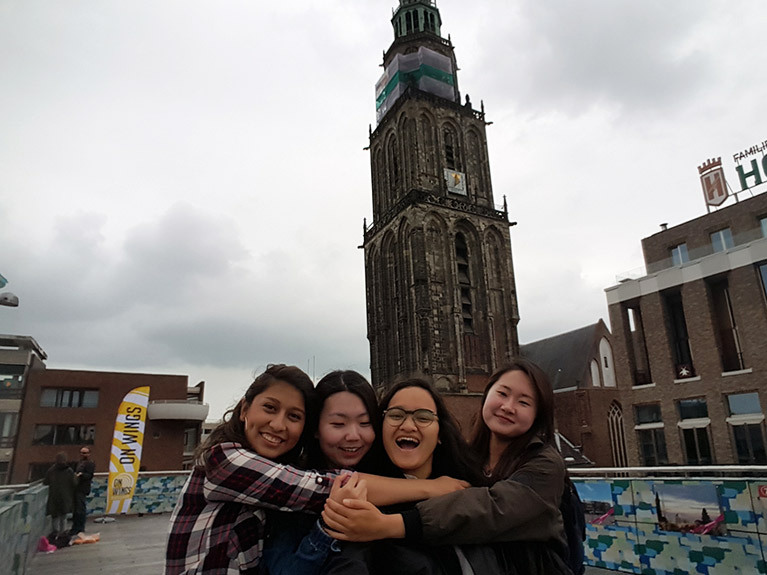 In Netherlands, the students are not very close with the lecturers but here in Malaysia, it is the opposite. For example, the students share stories about their vacations or problems to the lecturers. The lecturers here are caring and are always willing to lend an ear. Interviewer: Would you come to Malaysia again if you have another chance? Sabine: I would love to if I get financial aid (laughs). Semester Dates The academic calendar for 2018 can be found here. Induction Programme IUKL organizes Induction Programme at the start of each semester for new students. Students will be exposed to the Malaysian culture and know about important practical issues. Medium of Instruction All programmes at IUKL are taught in English. English Language Requirements Exchange students are not required to submit proof of their proficiency in English. Partner institutions are advised to use the requirements for fee-paying Bachelor students as a guideline: TOEFL 500 or IELTS 5.0. Partner institutions are expected to select students who meet these requirements. Possibility of Attending Courses from Different Departments Students are expected to choose courses from within the host department. Most departments offer fixed semester courses. Accommodation Students can apply for housing through the Student Affairs Department (STAD). Average cost of living Please refer to the International Student Handbook. Airport pick-up service available Airport pick-up is available without extra charge. Students will be accompanied by IUKL officers to the campus. More information is available on our website.